Family commitments have slowed down updates to the website this summer. 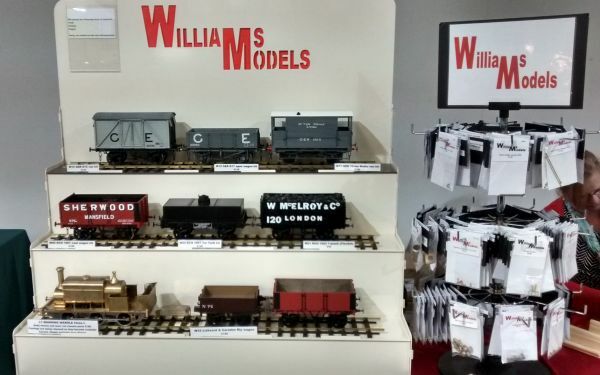 So far we have only two shows booked: The excellent Gauge 3 Society's exhibition in Flitwick, Bedfordshire on 23rd February 2019, and the Association of 16mm Narrow Gauge Modellers' National Garden Railway Show at Peterborough on 6th April 2019. Although there may also be G1MRA and G3S shows later in the year, at the time of writing we have no details of them. Our LNWR 6-wheeled passenger full brake is now available and we think we have enough wagons in the range for now, so are beavering away maintaining the range, keeping kits in stock and working on final detail parts needed for the locomotives.